Voice compliance solutions have recently become higher priority for businesses because proliferation of online and card transactions fraud has led to a number of new and enhanced data protection regulations coming into place intended to force heightened security and transparency of personal data. In other words what you do with, where you store and how safe your customers personal information, card details or voice recordings are. The implications are far-reaching throughout the business community and the impact of non compliance can be hefty. MiFID II (Markets in Financial Instruments Directive), came into force in January 2018. MiFID II was introduced by the EU after the 2008 financial crisis and introduces reforms for the financial industry designed to prevent the circumstances that arose in 2008 form happening again. MiFID II introduces tightened compliance rules around the recording and storing of conversation, however this only applies to financial services operations involved in the trading of investment market products such as derivatives, bond and commodities. 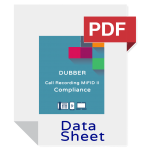 Unlike MiFID II, which is confined to the financial industry GDPR has implications for all organisations that collect information about customers resident in the EU – regardless of Brexit outcomes. The EU GDPR will come into force from 25 May 2018. 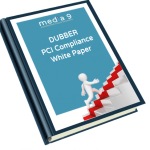 This regulation replaces the Data Protection Act 1998 and introduces heavy fines for non compliance. This new legislation protects and empowers all EU citizens data privacy and reshapes the way organisations approach data privacy. A huge number of Card Not Present (CNP) transactions are processed daily, which makes call centres an attractive target for fraud. The Payment Card Industry Data Security Standard (PCI DSS) is the proprietary information security standard set out by major credit card companies (Visa, Mastercard, American Express, JCB and Discover) and is compulsory for merchants that take process and store payment card information. 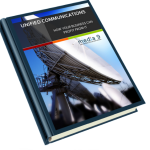 Media 9 offer a comprehensive range of solutions for call recording and PCI compliance with our SIP trunking and our hosted telephony services. We provide the tools needed for organisations to achieve compliance with the voice elements of GDPR, MiFID II, PCI and other regulatory requirements. We can provide a single portal for all call recordings and our solution will stop all payment card data from entering the user-organisation’s IT environment, thereby removing a major source of potential risk.